In the constellation Ophiuchus lies one of our solar system’s closest star forming regions. 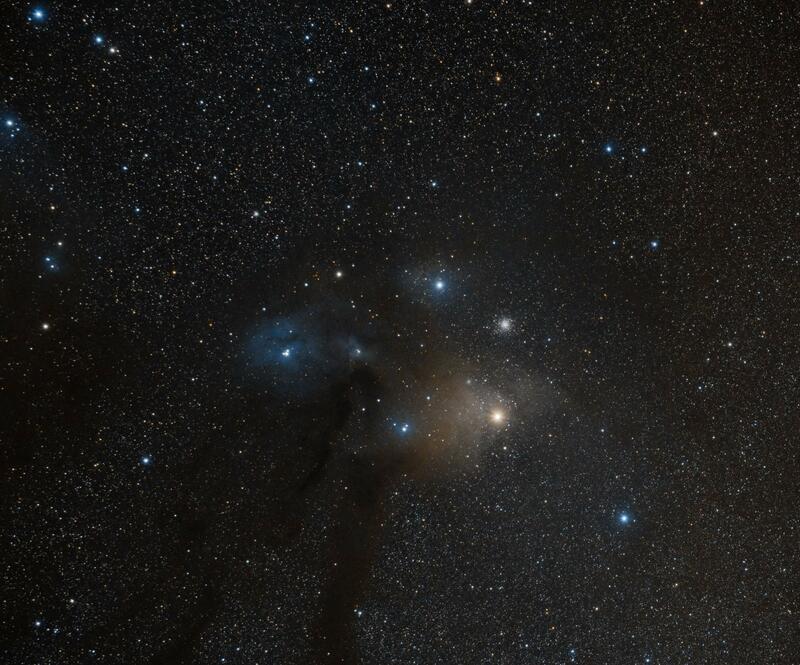 Shown here is the Rho Ophiuchi nebula. This beautiful cloud of dust is being lit up by the colorful stars imbedded in it. The bright star Antares lies in the middle of the picture just below the globular cluster M4. I took this at the Golden State Star Party over the course of two nights. Previous: Previous post: I Got APOD!